ബ്രിട്ടീഷ് രാജകുടുംബത്തിന്റെ ഔദ്യോഗിക വസതിയാണ്‌ ബക്കിങ്ങാം കൊട്ടാരം(Buckingham Palace). ബ്രിട്ടണിലെ പ്രമുഖ രാജകീയ പരിപാടികൾ എല്ലാം നടക്കുന്നത് ഇവിടെയാണ് . 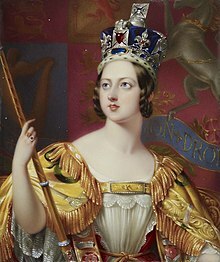 Queen Victoria, the first monarch to reside at Buckingham Palace, moved into the newly completed palace upon her accession in 1837. ↑ By tradition, the British Royal Court is still officially resident at St. James's Palace, which means that, while foreign ambassadors assuming their new position are received by the British sovereign at Buckingham Palace, they are accredited to the "Court of St. James's Palace". This anomaly continues for the sake of tradition as Buckingham Palace is to all intents and purposes the official residence. See History of St James's Palace (Official website of the British Monarchy). ഈ താൾ അവസാനം തിരുത്തപ്പെട്ടത്: 11:40, 10 സെപ്റ്റംബർ 2014.